Make sure you get out and vote in Illinois. 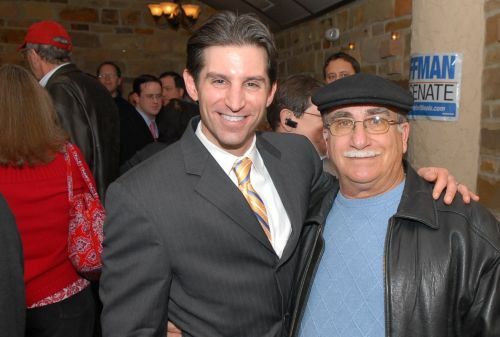 Angelo Fata has been a very loyal supporter for better government in Chicago. He is pictured with the former Inspector General of the City of Chicago, David Hoffman. David Hoffman will make a great Senator to help all workers in Illinois and throughout the United States. Many of the Chicago City Workers that stood up against corruption and waste will stand with David Hoffman on Election Day. I am an unabashed supporter of David Hoffman; I admire his accomplishments and courage to make America even better. We need to reward those that have fought for us, vote in support of David Hoffman. Photo by Patrick McDonough.